Standard layouts for double hung windows are a 2-Light. Made-To-Order (not returnable) wood 2-light storm and screen sash. Made from kiln dried and Woodlife treated pine. 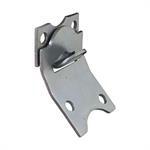 Storm and Screen Sash Hangers. Sold Per Pair.